You wouldn’t be alone if you were confused to find U2’s latest album on your iTunes playlist without having actively downloaded it yourself. 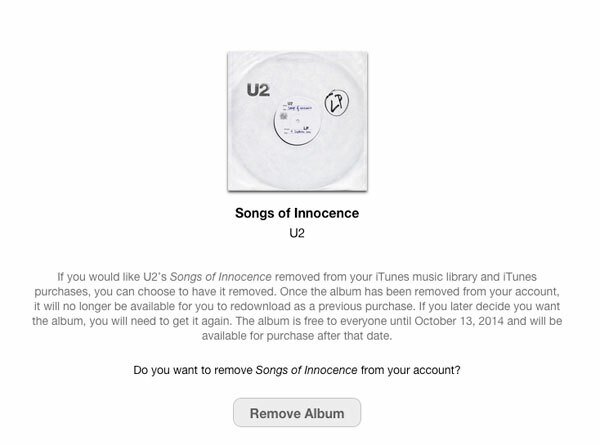 CEO Tim Cook and U2 declared their new album “Songs of Innocence” would be automatically added to all 500 million iTunes users as a gift to celebrate the launch of the new iPhone 6 and 6 Plus. Many users took to social networking sites such as Facebook and Twitter to announce their confusion and discontent at the free gift; leaving Apple with little choice but to address the matter, despite it costing them around $10 million to implement, according to the New York Times. Although iTunes does have a feature to “hide” previous purchases, this wasn’t enough for some people, and wanted to remove the album altogether. Apple warned that once the album has been removed, it will need to be re-purchased if you decided you wanted it again. If they have been downloaded to any other Apple devices via the music app or to a Mac or PC via iTunes they will need to be deleted manually.